For those of you that don’t follow me on Facebook, I have a quick brag I want to share. My best friend Susan is in July’s issue of Martha Stewart Living! The photographer came down to Virginia a few months ago and spent a day with us taking some stunning photographs of Susan and the farm. I hope at some point Susan will be able to get her hands on some of the photos, because, well. Stunning. 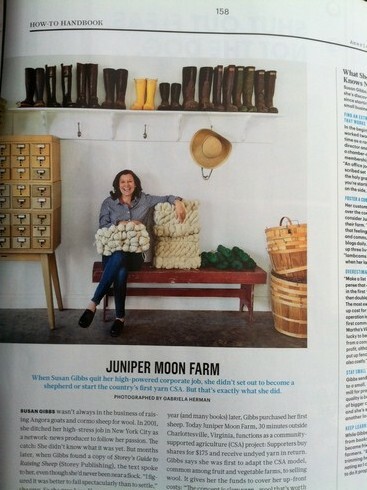 Get yourself a copy of the July issue now and read all about Susan and Juniper Moon Farm!